Anyone has worked on this crochet home decor pattern? I need some help. I started working on one of the patterns here but got stucked. I am still beginner so if anyone can help me please reply here or contact me. Thank you! Here is the direct url from where I got the pattern https://www.crochetknitpattern.com/home-decor-crochet-patterns-part-166/ and the photo is mentioned below. 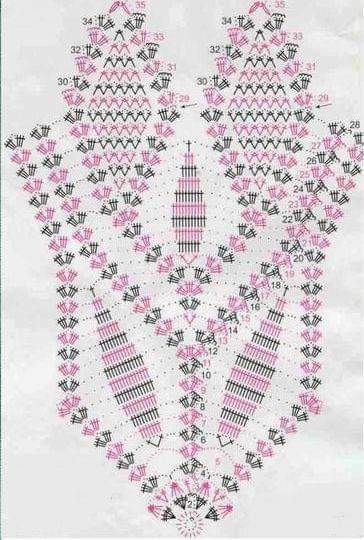 You can quote a few rows that are giving you problems just not large portions of the pattern due to copyrights. I believe the pattern is listed as free. And this image link https://www.crochetknitpattern.com/wp-content/uploads/2019/01/Home-Decor-Crochet-Patterns-Part-165-29-1.jpg is the actual symbol crochet pattern for the finish doily image posted. I do like symbol crochet. What row or round is giving you trouble?